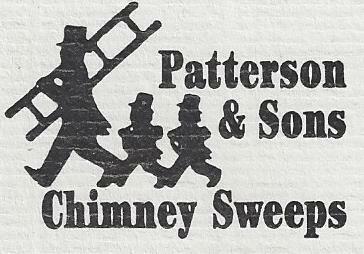 WHAT'S IT LIKE TO HAVE A CHIMNEY FIRE? IT CAN DAMAGE THE HOUSE CONSIDERABLY IF ALLOWED TO GET OUT OF CONTROL. A CHIMNEY FIRE BURNS SO HOT (SOMETIMES IN EXCESS OF 2,000 DEGREES) THAT IT CAN CRACK THE FLUE TILES AND SPREAD TO OTHER PARTS OF THE HOUSE. 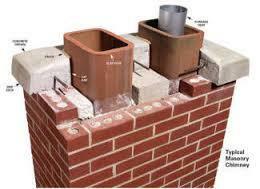 THE BRICKWORK ITSELF CAN RADIATE ENOUGH HEAT TO IGNITE PANELING OR SURROUNDING WOODWORK. 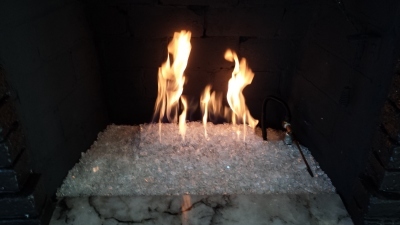 THE FIRE CAN MELT MORTOR FROM THE JOINTS AND SEND IT FLYING INTO THE AIR LIKE A ROMAN CANDLE WITH RED HOT PIECES FALLING ON YOUR ROOF AND THAT OF YOUR NEIGHBORS. ADD TO THAT THE EMBARRASSMENT OF HAVING THREE FIRETRUCKS PARKED IN YOUR DRIVEWAY, AND YOU CAN BEGIN TO GET THE PICTURE. 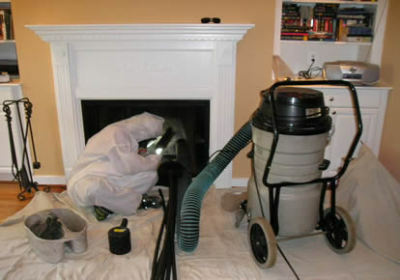 IT IS ALWAYS A GOOD IDEA TO INSPECT THEM EVERY YEAR TO TWO YEARS, YOU SHOULD CLEAN CHIMNEYS EVERY THREE TO FIVE YEARS DEPENDING ON HOW OFTEN YOU USE IT. HOW OFTEN SHOULD YOU CLEAN YOUR DRYER VENTS TO PREVENT IT CATCHING ON FIRE? DEPENDING ON HOW OFTEN YOU USE BUT I WOULD CLEAN IT AT LEAST ONCE A YEAR.